The Irish claimed to be the first, the Scots made it famous, the Americans made it different, the Japanese refined it into an art, Taiwan's mad about it.... and now, India is jumping into the foray. 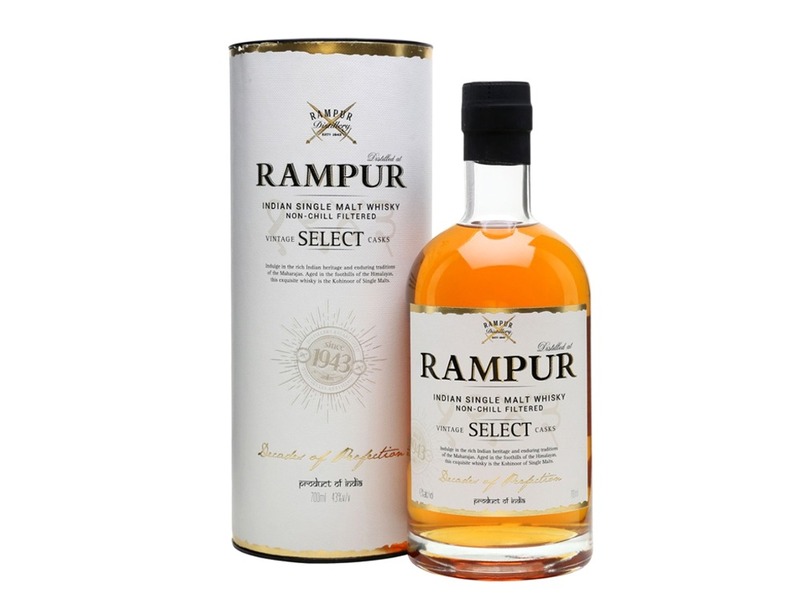 After John Paul and Amrut established names of single malt whisky brands from India, Rampur makes an inroad to our shores as the 3rd and latest brand of single malt whisky from India. This brand has been floating on retail for the last few months now but only last 29th Aug, in a cozy little media launch, I managed to sample a little of this latest pride from India. Rampur Select is produced by Radico Khaitan. The distillery that sits on the foothills of the Himalayas in a little town called... can you guess it.... Rampur. Radico Khaitan is no stranger to the liquour industry in India. Having been around since 1943, it's known to be the largest spirit producer in India. On the nose is a crisp whiff light fruity notes. On the palate, you can taste the youth of the liquid, not much body, more fruity notes and ending with some spiciness. Overall, an uncomplicated whisky to enjoy. It's hailed by Whisky Advocate magazine as no. 5 of its top 20 whiskies of 2017 with 93 points. Bottled non-chilled filtered and at a 43% ABV, it retails here at RM345. You can buy this online at StayThirsty.